The cold nights up north showcase beautiful Aurora Borealis, which are tiny nighttime explosions that paint a majestic sky. 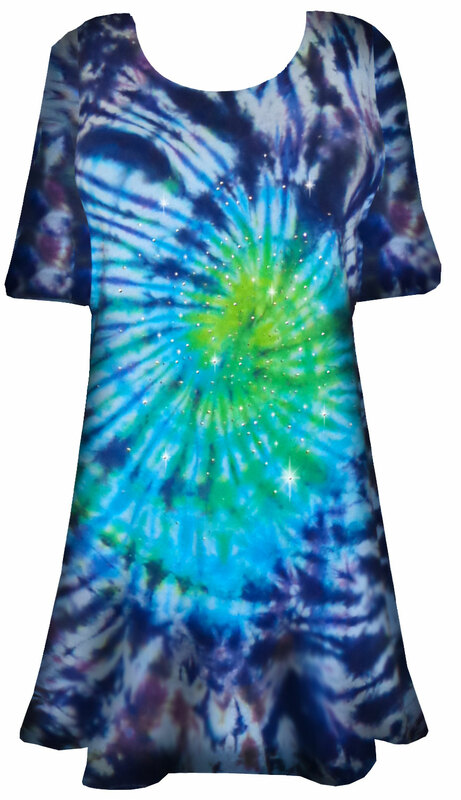 This plus size tie dye tshirt is an inspiration of those beautiful nights in the sky. Enhance your look with adding tiny stars in the sky with a rhinestud scatter. 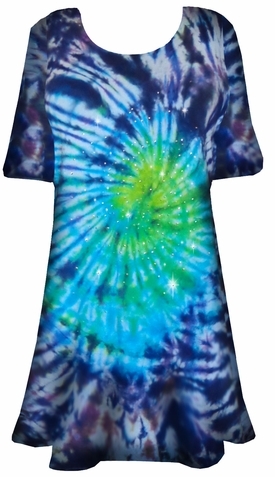 This is a pretty 100% cotton lightweight and very stretchy a-line short sleeve t-shirt in tiedye. Each top will be unique. Length will differ on each item, please look at the options in the drop down box. Picture shows this shirt with Sparkly Rhinestuds! Add them for extra GLAM!